Have you lost your house or car keys? Do you need new locks installed on your rental properties because a tenant didn’t return your keys? For any of these problems or for basic lock and key services, call Martin Locksmith today. We are certified lock and key specialists that can handle any issues you may have. 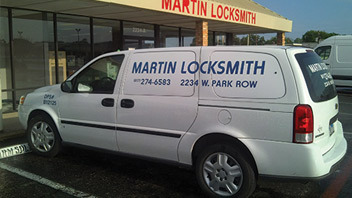 Given our extensive experience, Martin Locksmith can handle any lockout, re-keying or replacement you may encounter. Our expertise also extends to residential and commercial safes as well as electronic keypads and locks. Call us today at 817-274-6583 and get quality lock and key services you can afford.